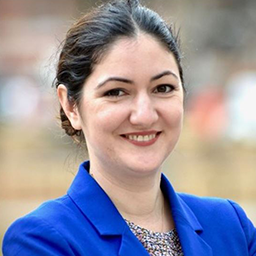 Gabriela Zanfir-Fortuna is an EU data protection law expert, having worked for the European Data Protection Supervisor as legal and policy officer, with experience both in enforcement and policy, before moving to the US. She holds a PhD in law, obtained with a thesis on the rights of the data subject and their adjudication in civil law. Gabriela received the 2014 CPDP Junior Scholar Award for her work on the right to be forgotten and she has extensively published the results of her research. Currently, Gabriela is a Fellow for the Future of Privacy Forum working for the Research Coordination Network project, she provides GDPR compliance advice to start-ups and multinational companies and she is an Associated Researcher of the LSTS Centre of VUB Brussels. Gabriela continues writing for her blog at www.pdpecho.com. What Is the Current State of Play Regarding Certifications Under the GDPR? Will the ePrivacy Reg overshadow the GDPR in the age of IoT?